Two state of the art mains voltage LEDs give very bright and even illumination all over the score, with very little light spillage. The slim housing of the lamp does not obstruct the musician’s view of the conductor. 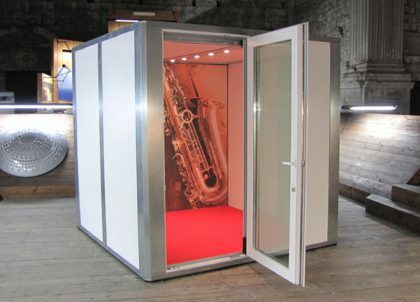 Warm white LEDs with a colour temperature of 3000k provide light which is relaxing for the professional musician, yet make for easy reading of yellowed scores without the tiring effect of the more common cold white LEDs. The light can provide years of maintenance-free use as LEDs are virtually indestructible. 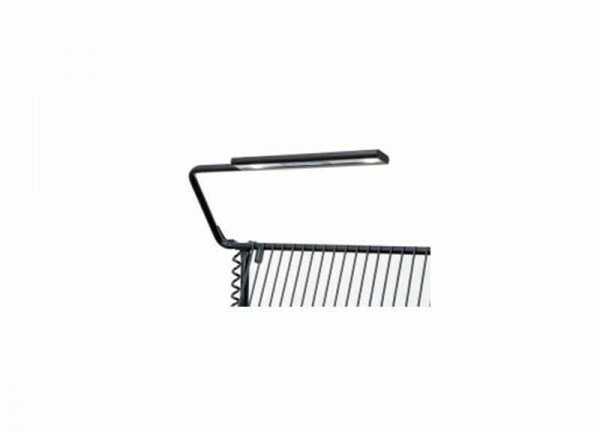 Over the lifetime of the product, lower electricity bills and the absence of bulb replacement costs will repay your initial investment in this professional music stand light. Double insulated for safety, a coiled cable from the lamp to the ground levels enable the stand height to be adjusted without detaching the cable from its hook at the base of the stand. The straight cable from the base of the stand reaches a further 3 metres.